New Price! CARFAX One-Owner. 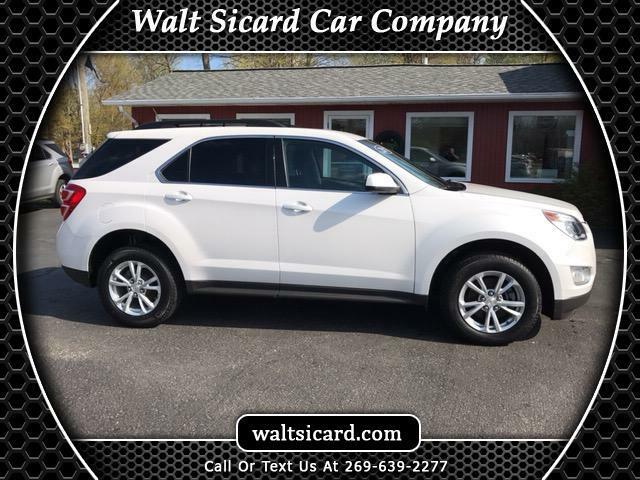 Iridescent Pearl Tricoat 2016 Chevrolet Equinox LT AWD 6-Speed Automatic with Overdrive 2.4L 4-Cylinder SIDI DOHC VVT 2016 Chevrolet Equinox LT in Iridescent Pearl Tricoat, Sought After Options Include, **STILL UNDER FACTORY WARRANTY**, AWD, 8-Way Power Driver Seat Adjuster, Air Conditioning w/Automatic Climate Control, Convenience Package, Exterior Parking Camera Rear, Heated Driver & Front Passenger Seats, Leather-Wrapped Steering Wheel w/Audio/Cruise Ctrls, Remote Vehicle Starter System.